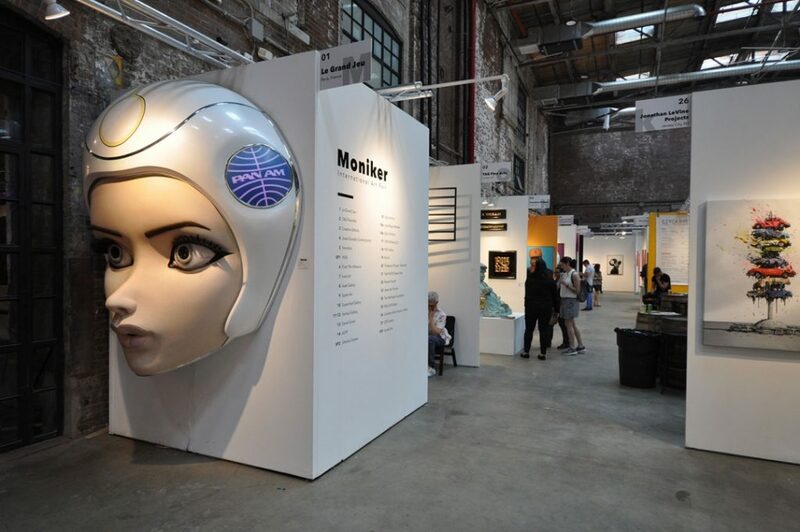 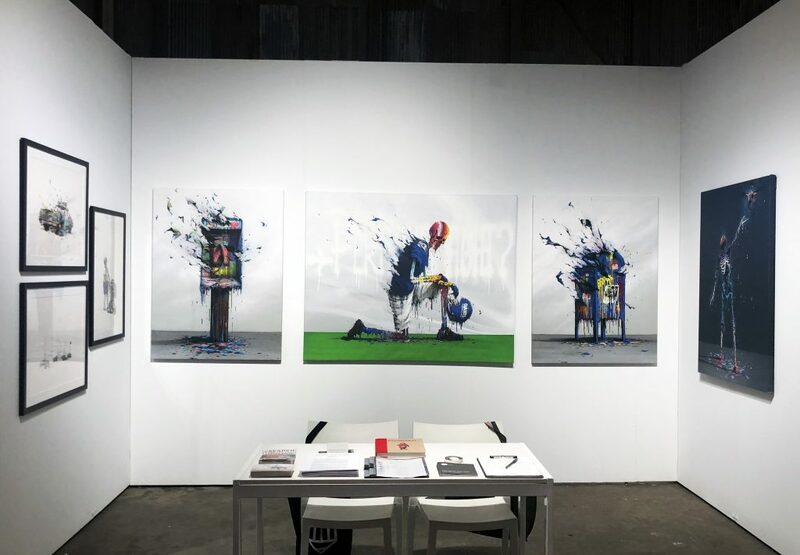 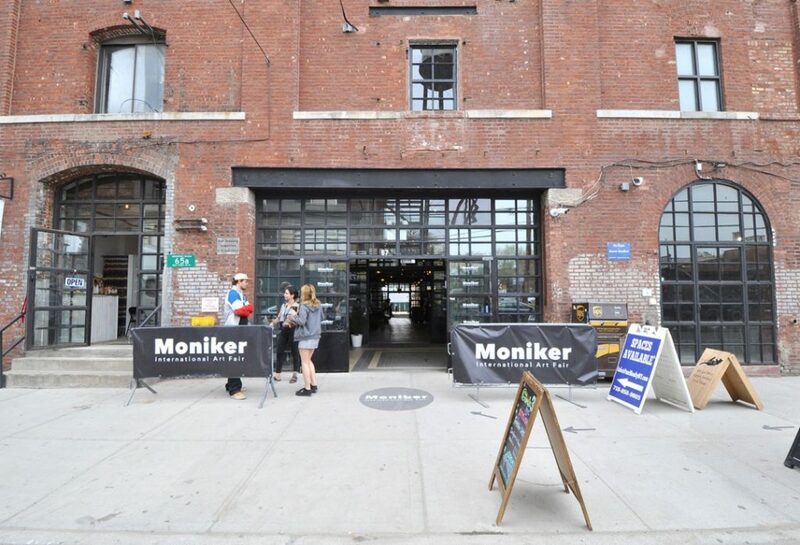 Moniker Art Fair made its debut in the United States during Frieze Week (May 3 – 6, 2018) featuring galleries from around the world that are dedicated urban culture. 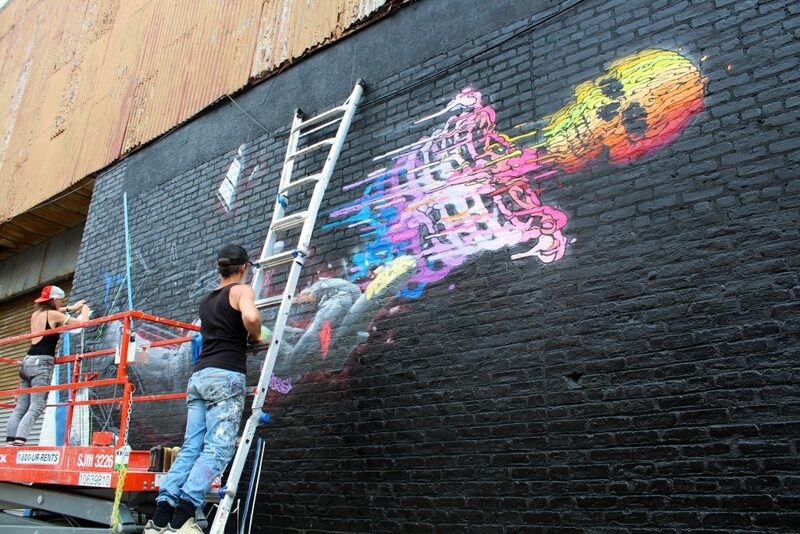 Renowned for thinking outside of the white cube model the eight year old London fair took over the Greenpoint Terminal Warehouse in Brooklyn with a stellar presentation of street art, artist lectures and panel discussions, film screenings and murals in the surrounding neighborhood. 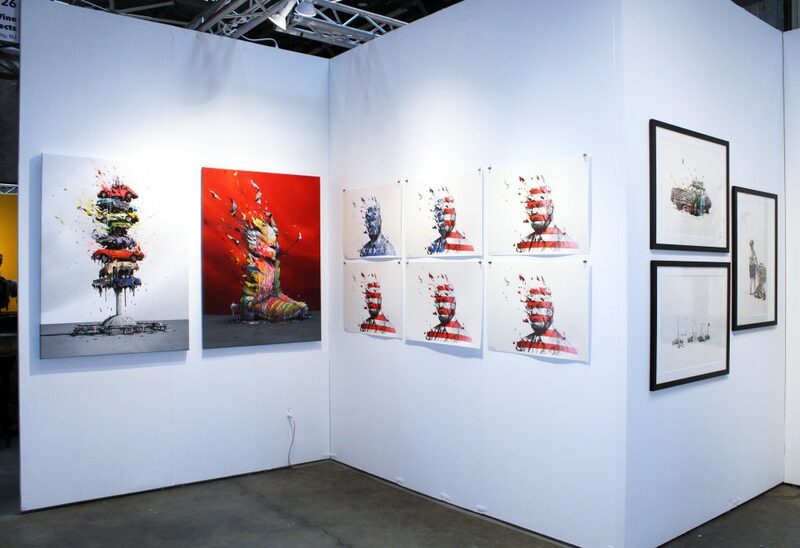 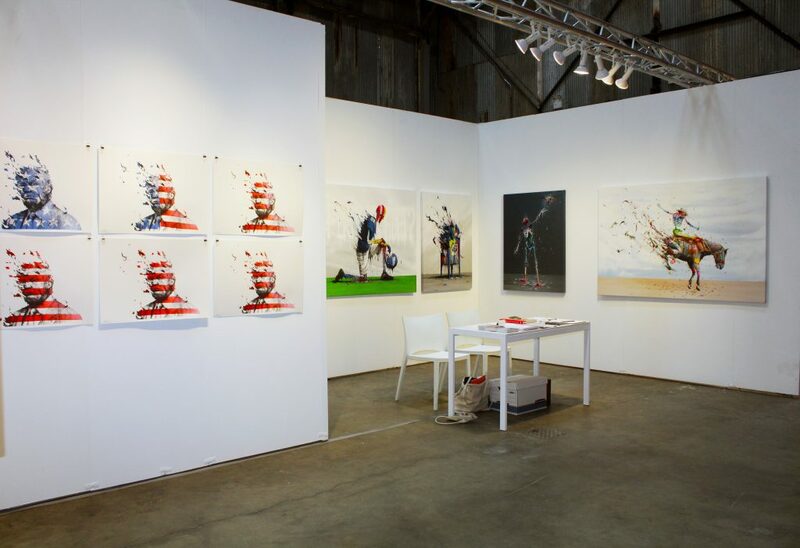 Our booth featured a solo presentation of new work by French artist Brusk. 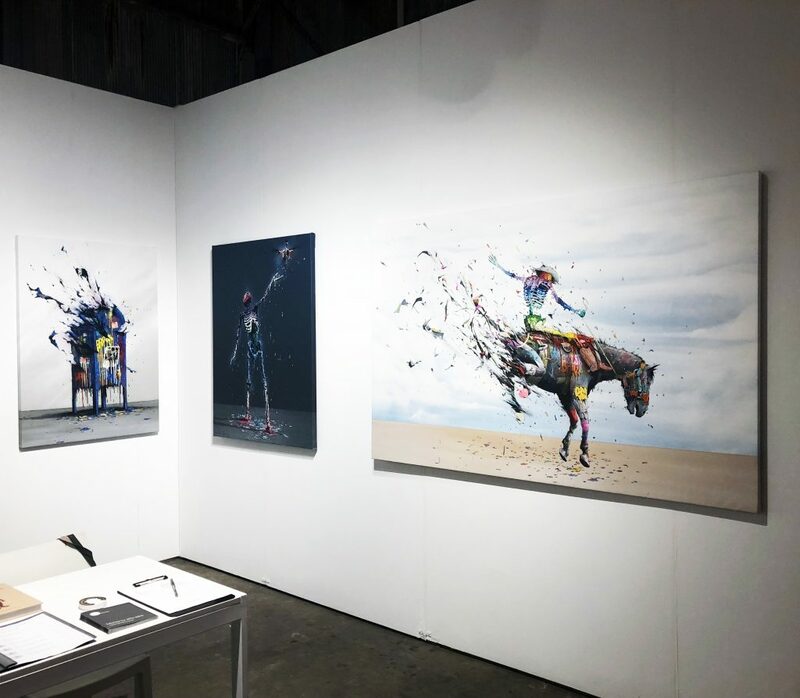 Blurring the line between figuration and abstraction he transforms his subjects into bold drips of paint with playful details reminiscent of his graffiti days. 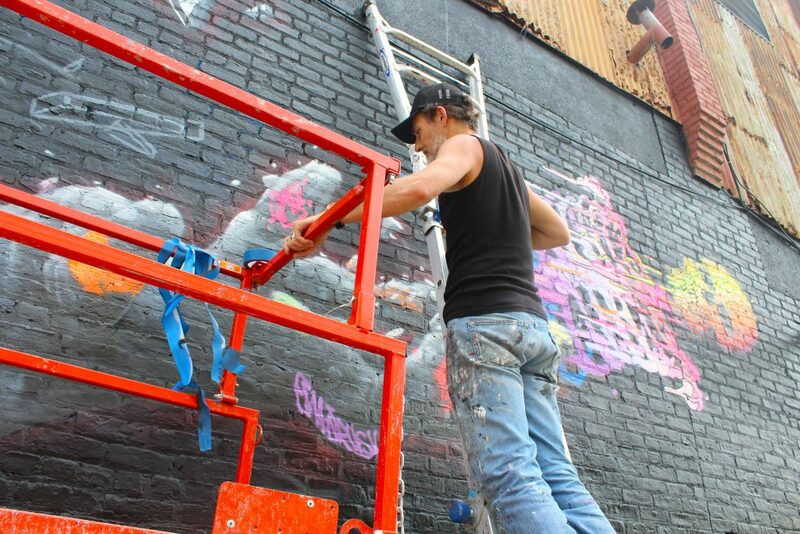 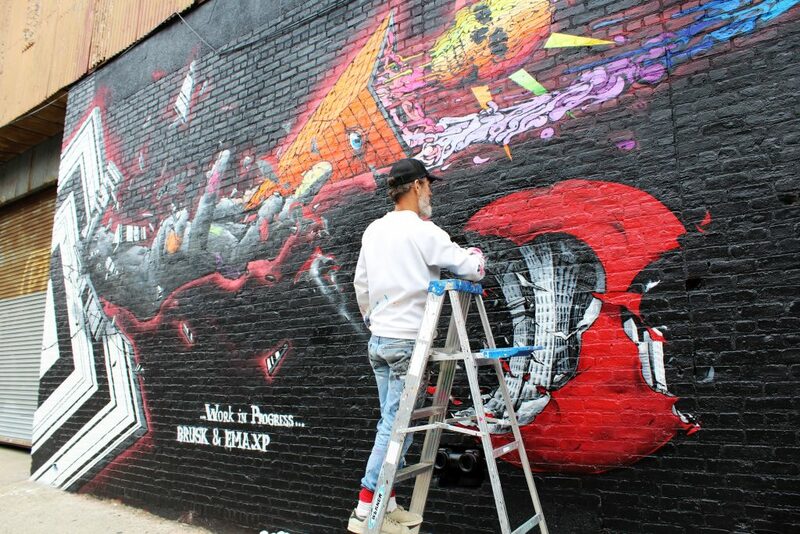 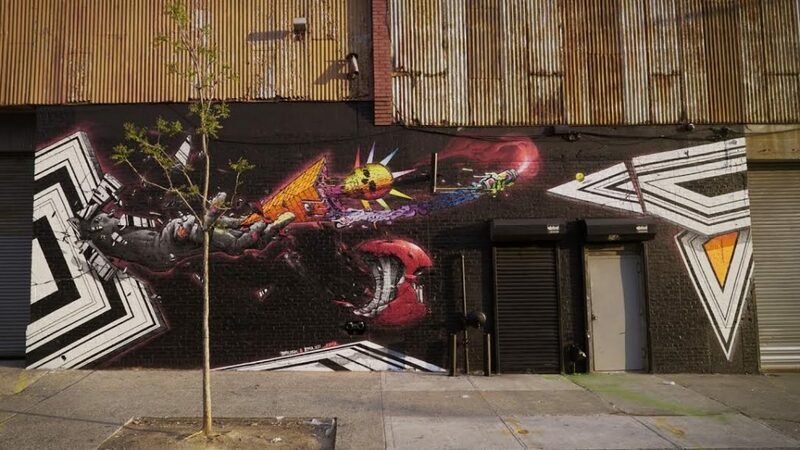 Fair goers also got the opportunity to see Brusk in action as he painted a massive mural on Greenpoint Avenue between West Street and WNYC Transmitter Park. 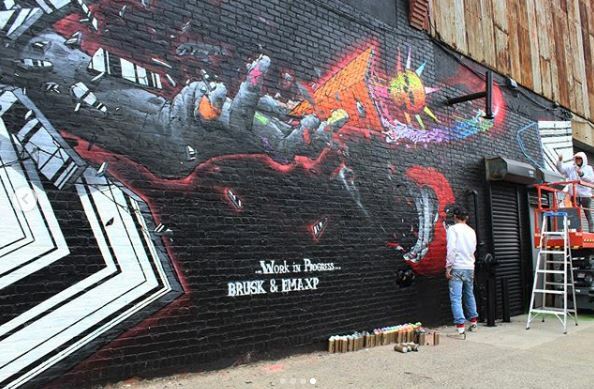 Continue reading to view images of the event and feel free to email us regarding availability of work by Brusk, we still have some beautiful pieces available. 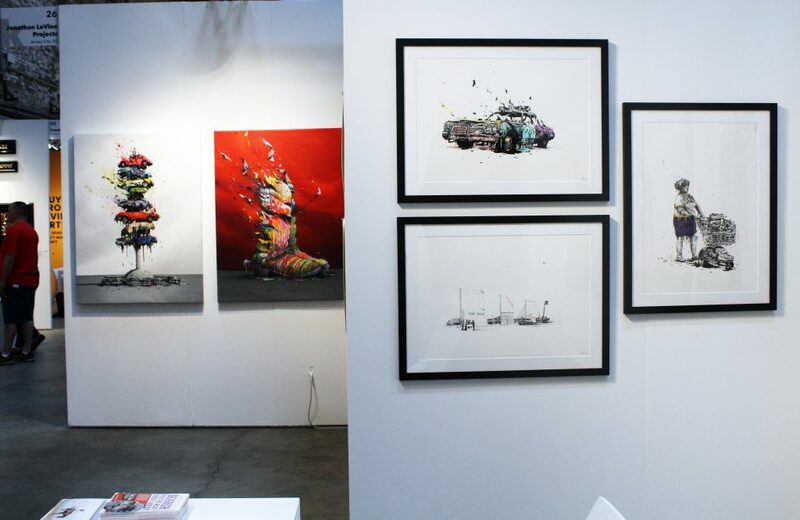 Limited edition prints by the artist can be found on our online shop.